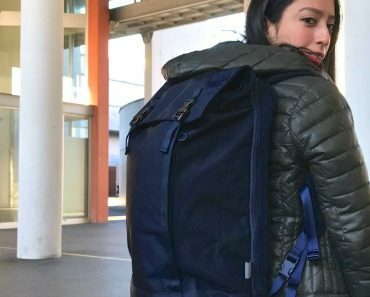 This a very cool post. Forget for a minute these Barx Sox and listen to this story. 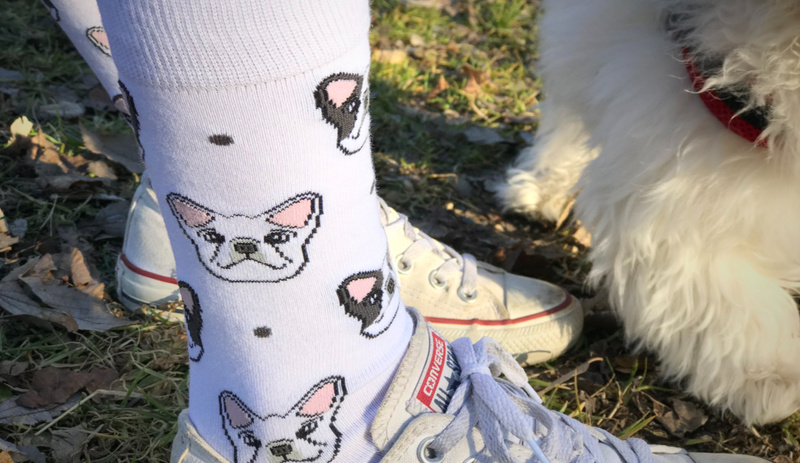 I am in constant check of Instagram posts that concern my main passions (here in no particular order): skateboarding, music, girls, sneakers and street fashion and in one picture related to the latter I got hit by these ultra funny socks whose graphic design represented a little French Bulldog. One thing leads to another and like it happens in hip hop circles… real recognize real. I started to comment @barxsox posts and vice versa so at a point I asked this independent brand from Texas if I could review their socks and they were happy to agree. 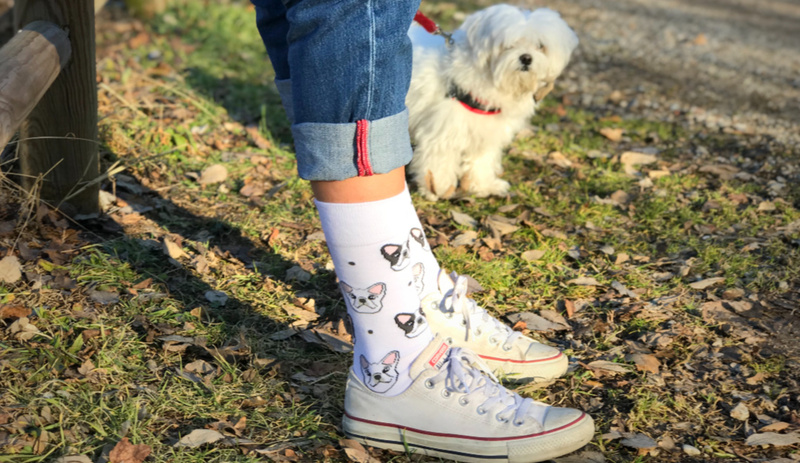 Next thing I know there was a box containing four of the designs of this “cute little dogs only” socks brand delivered at my door. No other subject enters the range of Barx Sox but canine friends of the human being. Its name is the result of a wordplay where barks (as in “barking dogs”) tweaked a little can become barx just like socks can become sox. From Texas to the conquer of the world, you ask me? 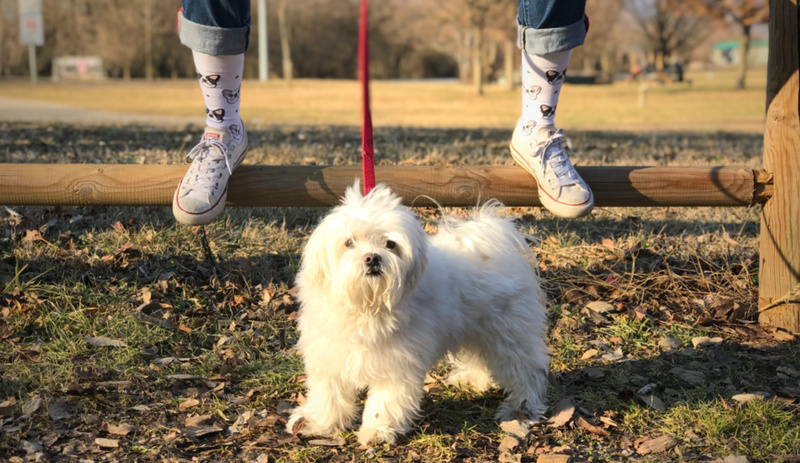 Looking at this brand from my perspective, it is more a way to have fun than that brilliant idea that makes you a millionaire but, guess what, the socks are really captivating and may be worn regardless of your clothing style. 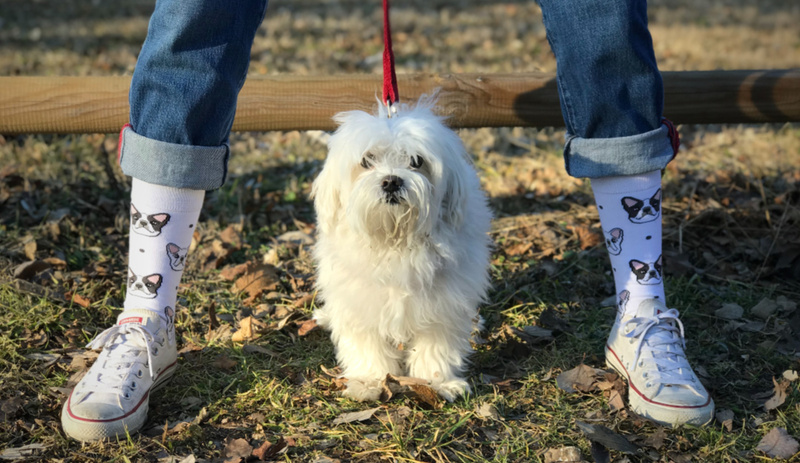 You can wear these Pardon My Frenchie socks even if you own a Maltese like in these pics with Teddy, our supermodel dog. 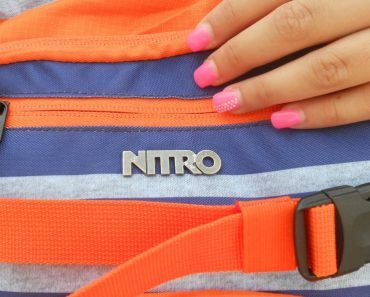 It’s all in the name of good fun and I bet nothing like this kind of accessory may spark random conversations, regardless if you are walking your dog or not. What you should do now that you know this story that gives justice for once to globalization and its hated/loved social medias is show some love to Barx Socks. Follow them on Instagram and cop their socks, they don’t ask for more (and they deliver worldwide).